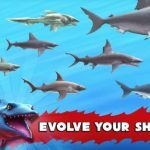 Hungry Shark Evolution is an exciting mobile title by Future Games of London, where you can control a hungry shark and eat anything – and everything – you encounter. The mechanic is similar to the aforementioned Evolution titles – you can collect sharks and evolve them. Aside from that, there are a whole lot of other differences. You’ve got more than 70 missions to complete, 15 sunken objects to discover, and a wide, free-roaming environment you can explore while at it. 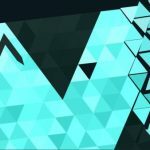 So how can you make the most out of this game and evolve your sharks to their fullest? We’re glad you asked, because we’ve compiled a list of Hungry Shark Evolution cheats, tips and tricks for you to consider if you’re stuck at some point in the game. 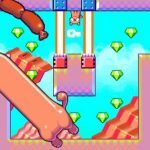 You may be excited to start eating things and ruling the sea, but before that, you should make it a point to go to the in-app store and watch an advertisement video. Tap on the Diamonds total option, and you can watch as many trailers as there are available for the day – you get 100 coins and five gems (the game’s premium currency) per ad video you complete. Take note, however, that there may be instances where there won’t be any trailers to watch for the day. Look for the tunnel underneath and to the left of the Reef Shark’s starting point – that’s the daily treasure chest, which will award you more coins for each consecutive day you login. You start with 100 coins on the first day and go all the way up to five gems on the fifth day, before restarting all over again. 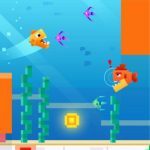 The game also has its own “fever mode,” which is the Gold Rush – reach a certain number of points and activate your Gold Rush, which will allow you to chomp on as many sea creatures as possible and score more points. You’ll know where the Giant Crabs are by checking the basic map – you can go to the leftmost part of the map, and spot these crab hideouts accordingly. When it comes to sharks to use against Giant Crabs, the Megalodon would be the best choice in most instances, but the other sharks should also work well in these boss fights. Outfit your sharks with the Crab Form accessory, and that’s going to deal more damage than usual to Giant Crabs. The first thing to do is to evade their pincer attack three times; that’s going to expose their weak point. The color of that weak point will change as the crab’s health declines – it will be green when it’s at full health, orange when at 50 percent, and red when it’s almost dead. And once you’ve seen that weak point, we recommend going for boost attacks for maximum damage against the crab bosses. Need some tips about how to unlock more sharks in the game? Take a look at our dedicated Hungry Shark Evolution tips and tricks article, which helps you do just that.